A few years ago, I completed my first yoga teacher training to become a Vinyasa yoga 200 hour certified teacher. As part of my training, I memorized the Baron Baptiste vinyasa flow. This series of sun salutations followed by a variety of basic Hatha postures can serve as a great basic foundation for teaching a 60-75 minute yoga class. For all of you yoga teachers out there, you know the challenge of learning a flow. You’ve got to repeat it over and over until it’s second nature. There’s a lot to think about: remembering the sequencing, staying in tune with the breath, reading the energy levels of students, and staying on track with the timing of the overall class. Early on in this process, it's helpful to focus on the basics— knowing the order of the poses and the basic cues for getting students in and out of the poses safely. Since there’s not a lot of info online about methods for memorizing a flow, I wanted to share what has worked for me. Please feel free to add your thoughts in the comments, too! I look over my outline of the poses frequently. It helps to get an in-depth guide by referring to Baron Baptiste’s Journey Into Power, and it’s also great to have a bare-bones outline simply for memorizing the order of the poses. Especially if you are a kinetic/ visual learner, it’s helpful to write out the order of the flow yourself. Put things into your own words. Add colors, highlights or symbols as a way of reminding yourself of the details. Make a chart or create a diagram that will jog your memory. In the Baptiste flow, the class is organized into segments which correspond to the type of energy you’re generating in the body. 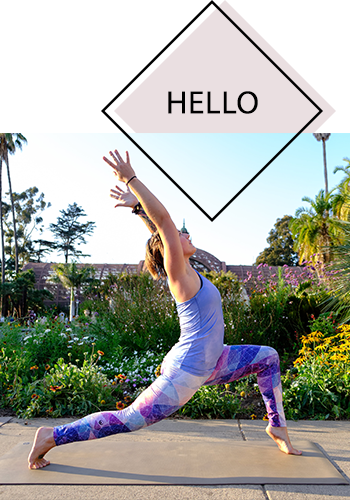 For example, Sun A and Sun B salutations are followed by a vigorous series of postures referred to as “Vitality.” As you’re getting started, focus on the bigger picture: how each segment of class leads into the next. Consider the peak / high point of class when students are exerting the most energy, and how you want to build them up to that point, and then cool them down afterward.
. I’ve found perhaps the easiest way to memorize the flow is to practice it on my mat repeatedly, to the point where my body knows what’s coming next without me having to consciously think about it. Once I have this body memory established, I can access it while I teach. Even a simple arm movement or twist can serve as a reminder for where to take students next. If you’re going to use the above point as a way of memorizing, consider adding an additional level of depth: actually speak as you move through the postures. This will help you develop physical strength, both in your voice and your breath, as well as solidify the flow in your mind. This has been my most effective method so far! Every morning and evening during my commute, I commit to practice teaching in my car. I like to chant to some kirtan music first in order to find my focus (lately it’s Ganesha Sharanam and Kali Bolo with Jai Uttal, whose voice inspires me every time!). Then I settle in and go through section by section, or jump in midway through the class and do, for example, only the “Balancing” series, or just Sun A through Vitality. Depending on where I feel I need more work, I can focus in on different sections or specific postures and practice those over and over. Practice ahimsa with yourself, speaking only kind words, accepting and loving yourself no matter what happens. Thank yourself for working through fear and discomfort. Apply what you know about being on your mat to your teaching: practice, and all is coming. Getting together with fellow teacher trainees to do one-on-one teaching has really boosted my confidence. I find that I’m most comfortable in a small setting where I feel less pressure to perform, and where there’s not too much attention on me. When I’m working directly with a student, I’m also able to learn more quickly how well my words are being communicated and whether they make sense or not. Watching a student closely can also give me hints about better ways to cue alignment, and how to get my pacing on track to accommodate for much time it takes to transition between postures. Small group settings have helped me integrate my identity as a teacher, and really step into my voice with assurance and assertion. If you're in a training, make plans with your fellow teachers and create a mini-class! You can teach round robin style where you each have a part and you switch from person to person. Also feel free to invite friends and family over for a full class. This will be helpful so you can start to learn to link together the different sections of the flow and create a more cohesive experience for students. While getting together in small groups was a great way for me to practice teach, it was also important for me to step outside of my comfort zone and teach in front of larger groups. Standing in front of a large group has been perhaps the most insightful experience of teaching, and it’s because it’s the hardest. I get nervous and have to make a very conscious effort to ground down, stand in my feet, find confidence in my words, and just generally relax. Patience and presence are key for teaching in front of a large group, and for me, the experience becomes more rewarding the more I detach from the outcome and am able to be kind with myself about any hiccups along the way. Puff your chest up, and let your shoulders rest down your back. Be confident. Allow yourself to be seen by your students. They're grateful to have you! More often than not, your students will hardly notice that you missed a halfway lift or asked them to twist in the wrong direction during crescent lunge—unless your voice shows it. However much attention you give to your “mess up” is how much attention your students will give it. Be assuring and confident with your energy; others feed off of that. And honestly, there’s no need to apologize! Saying “I’m sorry” while you’re in the middle of leading class is distracting. Instead, just keep going! You know what you’re doing, and if you get confused, your students will show you the next posture. Or, if worse comes to worse, let them rest in child’s pose! Give yourself a moment to gather your thoughts. Trust your ability to be spontaneous and allow yourself to breeze through mistakes. By recording your own voice, you’ll pick up on patterns in your speech, intonation and pacing. You can see if you’re repeating certain words too frequently, or perhaps forgetting certain cues. Listening to a recording by your favorite teacher can also be a great way to emulate what you like about their methods in class. And again, solid repetition of the flow helps ingrain it into your head. I have a plan to make a flashcard for each posture in the series. As I’m building my foundation, I’ll flip through them in the exact order of Baron’s flow. As I become more comfortable playing with sequencing, I’ll re-order them differently and see what unique progressions make sense and work well. Do you have experience with memorizing a flow? Or are you familiar with the Baptiste series? I’d love your thoughts on how you mastered it! Feel free to leave comments below. PS Wondering what the Baptiste flow is? Here’s the whole sequence for your reference. *Note: sun salutations can be repeated 3-5 times. For each of the series starting at Balancing (Equanimity), 2-4 poses are taught for a 60-minute class. Photo (1) by Stephanie Sheveland, Photo (7) by Angelo Hilton, and all others by Jessica Bartlett.